New Year’s resolutions: Get your passwords shipshape. Another trouble with passwords/passphrases may arise when they are not only the first but actually the only line of defense for your account security. When that barrier crumbles – commonly through a phishing attack or by attackers somehow working out your login details – an extra authentication factor that does not rely on ‘something you know’ may very well foil your adversaries. The trouble with unused accounts is that each of them – even if only a vestige of your much younger self – is a potential source of danger. The service may suffer a breach exposing your password or may be sold to new owners whose intentions might not exactly be honest. Or, if miscreants take over your account, they might be able to use it to break into one of your highly valued accounts, be it by gathering private information about you, or through your failure to use a unique password for each account. Or they can just as well use it to spew out spam. For 30 years, ESET® has been developing industry-leading IT security software and services for businesses and consumers worldwide. 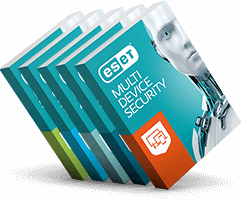 With solutions ranging from the endpoint and mobile security to encryption and two-factor authentication, ESET’s high-performing, easy-to-use products give consumers and businesses the peace of mind to enjoy the full potential of their technology. ESET unobtrusively protects and monitors 24/7, updating defenses in real-time to keep users safe and businesses running without interruption. Evolving threats require an evolving IT security company. Backed by R&D centers worldwide, ESET becomes the first IT security company to earn 100 Virus Bulletin VB100 awards, identifying every single “in-the-wild” malware without interruption since 2003. For more information visit www.eset.com or follow us on Facebook, YouTube, and Twitter. Newer When love becomes a nightmare: Scams on online dating sites and apps.